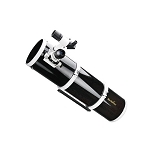 Quattro Imaging Newtonian’s are fast, large aperture astrographs, delivering an optical system that excels at both imaging and visual observation. 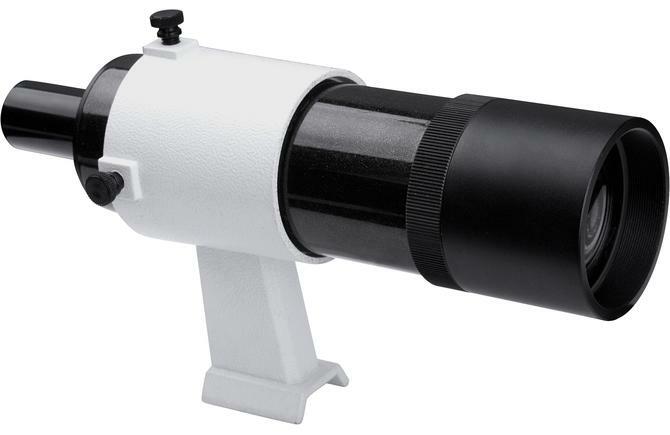 The Quattro Imaging Newtonian is one of the most affordable telescopes with a focal length of 1200 mm and a f/4 focal ratio. 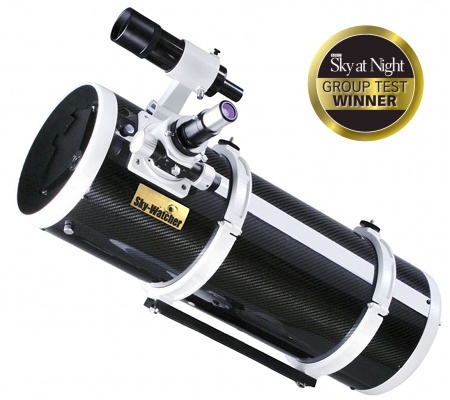 This astrograph is capable of producing an exposure 6x faster than the average 8” f/10 Schmidt Cassegrain telescope! Even pricey refractors have trouble reaching a focal ratio this fast. Using a faster optical tube will shorten the exposure time on your camera, giving you more time to photograph nebulae, clusters and other deep sky objects. Like all Sky-Watcher reflectors, our Quattro Imaging Newtonian features borosilicate mirrors with a quartz overcoat, producing 94% reflectivity. 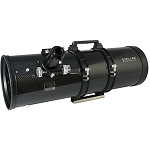 The optical system uses an oversized secondary mirror, providing greater illumination for DSLRs and CCDs using full-frame sensors. The optical tube is constructed with rolled steel, and features Sky-Watcher’s signature glossy metal-flake Black Diamond finish on the exterior. 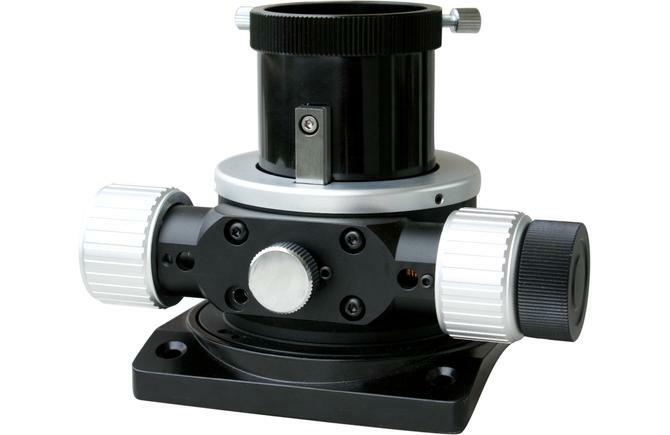 Whether you’re using the Esprit for imaging or visual use, Sky-Watcher’s proprietary 2 inch dual-speed linear track focuser provides precise 10:1 rack-and-pinion focusing with zero image shift. The focusers are rotatable, allowing astrophotographers to easily frame their image. The large aperture focuser includes millimeter markings to assist with quick and accurate focusing. Did you know the Quattro Imaging Newtonian is also an excellent visual observation instrument? 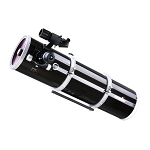 Although this optical tube is excellent for deep sky imaging, the wide aperture and short focal length produces a bright and vivid viewing experience. If you’re looking for one optical tube to use for both visual and photography, then look no further than the Quattro! 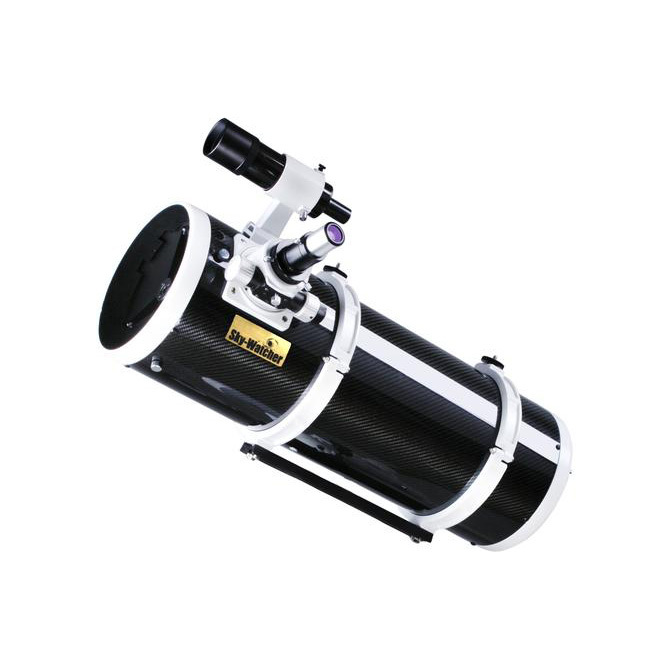 Sky-Watcher Quattro 300P Imaging Newtonian 12"
Mounting Ring and D-style Dovetail Bar.